I’m late in getting this review to press; simply because every time I’ve played the album I’ve discovered another layer to Montbleau’s voice or his lyrics or the guitar player was sounding funkier than the previous time when it was PURE Chicago Blues or….well; here I go; but I may change my mind tomorrow. The album opens with the brooding title track Growing Light and it only took me two minutes to fall in love with Montbleau’s hypnotic almost poetic delivery. Nothing else goes on to sound like this at all which is both a shame and a delight; because I could easily have listened to an hour of songs like this; but Montbleau has created an album of 10 disparate songs that took my breath away on every level. One song will get more coverage and the rest; not because it’s any better but because Pacing Like Prince is just what it says on the tin; only better than anything that the diminutive Purple One has produced in 10 years. I love Those Things as it managed to transport me back 20 years to my flirtation with Trip-Hop; but never loses sight of its Bluesy roots; which I find incredibly exciting. The Johnny Guitar Watson song Loving You, which follows is in a similar vein but the notes Montbleau hits alongside Jason Cohen’s extraordinary keyboard/Hammond playing makes this an extraordinary song; and one I’ve come back to many times in the last few weeks. While the album got off to a great start and got better; Montbleau actually keeps the best for last; with Glad being a dark and introspective Blues groove that had me shuffling my shoulders along with the sweet vibe and the finale Together throws a complete curve ball by Montbleau going into singer-songwriter mode with nods to James Taylor and the youngster Ed Sheeran as the Brooklyn based singer really sounds like he means every single word in his acoustic opus. 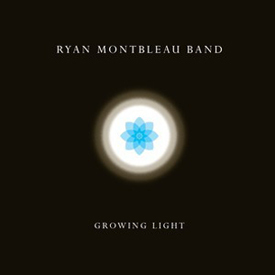 He’s been around a long time, and I’ve only just discovered Ryan Montbleau and I guess it will be the same for you; but trust me this is a diamond of a record.